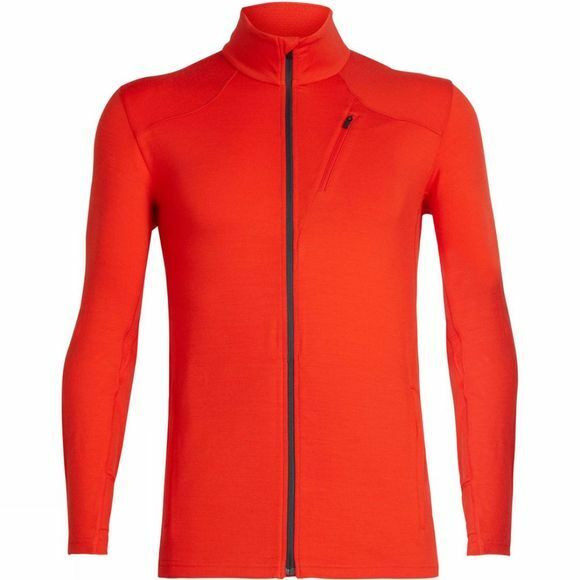 The Mens Fluid Zone Long Sleeve Zip Top from Icebreaker is a body-mapped technical top that’s ideal for running, hiking, and other active adventures, the Fluid Zone Long Sleeve Zip is a highly breathable merino layer for those in motion. This slim-fit active top features a full-zip design and a soft, breathable and stretchy blend of merino wool and Lycra . In strategic areas down the back and under the arms, we used lightweight merino eyelet mesh to amplify ventilation and improve airflow when you’re on the move. Flatlock seams throughout eliminate chafing, and zippered hand and chest pockets secure your small items on the trail.